While Rocklin is generally a very peaceful place, unfortunately, accidents do occur here. Rocklin residents are injured in town and also while out of town when commuting to work, or just traveling in general. An attorney who knows the area is always a huge benefit in any type of personal injury case. Car crashes in Rocklin are caused by many different factors. Sometimes, speed plays a role. A reckless driver ignoring the speed limit will eventually get into an accident. It is also important to note that serious injuries can take place at any speed, even as slow as 5MPH. Many of our residential areas have speed limits of 25MPH, and arterial roads have vehicles moving at a faster pace, often in the 35-55MPH range. Of course, there are many other causes of accidents, including distracted drivers and motorists driving while intoxicated. Accidents occur at Rocklin's roundabouts, intersections, and stretches of highway. Regardless of what caused the accident, I can help. I am committed to making highways safer by making negligent truck drivers and their employers to take responsibility for their actions. Truck routes in Rocklin include W Stanford Ranch Rd, Lonetree Blvd, and Pacific St. Big Rigs also regularly travel through the city on Interstate 80 and California State Route 65. If you have been involved in an accident with a semi, tractor-trailer, or any other large truck contact me for a free consultation. 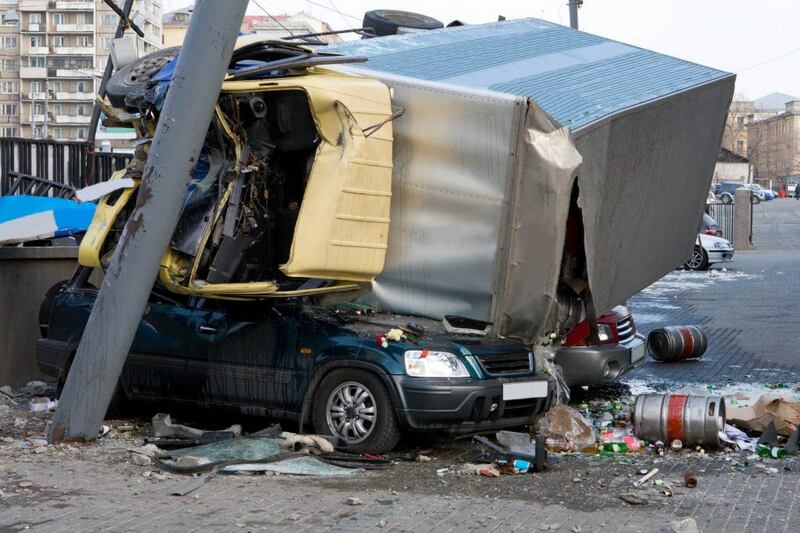 You can also visit my comprehensive page on truck accidents. Choose an attorney that practices personal injury law exclusively. I have practiced personal injury law only since 1982. Make sure your lawyer has YOUR best interests in mind. If you are the injured, a family member, or seeking help for a loved one, this is critical. I’m known as the “personal” personal injury attorney. Double check that the lawyer can, will, and has a history of taking cases to trial if necessary. See how the attorney is rated on Yelp, Avvo. Q: How do I get a copy of my car accident report or a traffic collision report? A: If you have been injured in a car accident, it is important that you speak to an attorney. Consultations are completely free. If an attorney is representing you, he or she will obtain your police report on your behalf. If you have not been injured and wish to get it yourself, you can visit the Rocklin Police Department at 4080 Rocklin Road, Rocklin, CA 95677. Accident reports are free. You will need your photo ID. Reports generally take 5-10 business days to prepare so you may want to call them in advance at 916-625-5400. Q: What if I have been attacked by an unregistered dog? A: Rocklin requires that dogs over the age of 4 months old be registered with them. If you have been injured by a dog, there are many variables which come in to play. Many animal attack victims are hesitant to call us because they were bitten at a friend or family member’s house. It is important to note that dog owners have insurance for this type of event. Call us today for a confidential and free consultation if you have been bitten by a dog or another animal. Q: What if I have been injured in a hit and run? A: We have worked with numerous cases when the victim was injured and then left by the driver who caused the injury. Hit and runs are the most common when a pedestrian, bicyclist, or motorcyclist is involved. Sometimes drivers flee when they fear they have caused severe damage, are driving under the influence, or have no insurance. Leaving the scene of an accident when a serious injury or death occurred typically results in a felony arrest. Regardless, we would like to speak to you if you were hit by a driver who fled the scene or had no insurance. 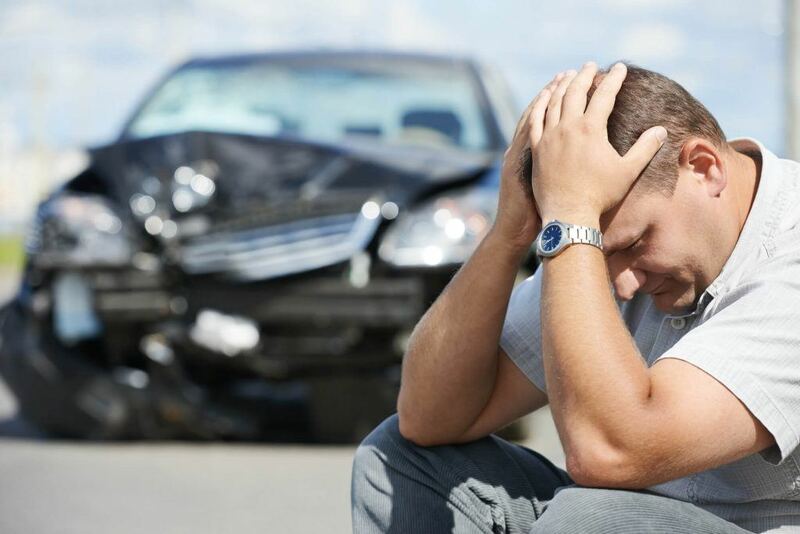 I’m Ed Smith, an experienced Rocklin car accident and personal injury attorney assisting victims in Placer County. If you have been involved in an auto accident or sustained a personal injury in Rocklin, schedule a free consultation now by calling 916.921.6400 or 800.404.5400. My advocacy has been recognized by the Million Dollar Forum. This group is reserved for injury lawyers with million-dollar settlements and verdicts.